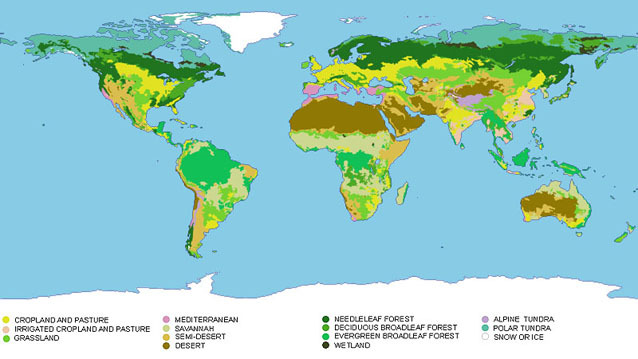 This simplified map of 14 biogeographic regions was derived from a much larger-scale vegetation and land use map with 24 classes. In addition to merging vegetation classes, the source data was spatially aggregated to give broader, more homogenous areas suitable for presentation by Sherston Software in an educational product aimed at primary school students. Source data: USGS Land Use/Land Cover System.